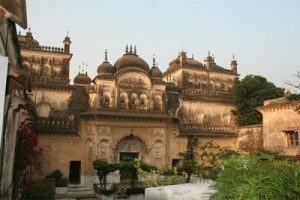 Nestled deep in the Chambal ravines of Bundelkhand, stands the more than 600-year old Fort Rampura – proud and stoic, as if defying the ravages of time. 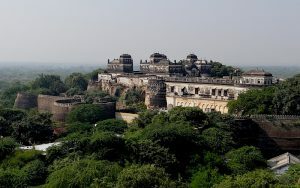 Fort Rampura was initially built as a fighting fort, with its various crenellated walls and moat designed to deter intruders. Successive generations, however, made the fort livable, specifically adding ‘zenana’ (ladies) enclosures, stables, granaries, godowns, temples, etc. The building has managed to endure six-hundred years of wear and tear. Today, a portion of the fort is still being used by the family. It is this part of the private residence which is offered as the Fort Rampura homestay.